As part of my birthday celebration recently, I went for a leisure stay at the Resort Suites at Bandar Sunway. They are currently having a special offer for you guys. Just mention the promo code (RSBS9694) upon check-in to enjoy a 10% Cashback for normal booking. Thank you for the nice gesture of having a birthday card and bottle of wine for me! Mine is an Executive King Suite, which is very spacious and can fit up to 3 persons. The suite itself is subdivided into few areas: Bedroom, dining area, kitchen, study area, bathroom and a balcony overlooking the whole Sunway Lagoon Theme Park and the city. You can easily enjoy the view from the room, or head straight to Sunway Lagoon to experience the fun yourselves! I can also see the iconic lion replica of Sunway Pyramid from my room. I love how fully-equipped the kitchen is-- It comes with a stove, fridge, microwave oven, water heater, rice cooker, bread toaster and full set of plates and cutlery. So family-friendly and convenient for those who don't feel like dining out. As for the bathroom, I particularly like the bath tub and full-length mirror. Being the tallest hotel building in Sunway area, the Resort Suites is easily noticeable and accessible through the concierge on Level B1 of Pyramid Tower, which will lead you to the Reception Area on the 12th floor. 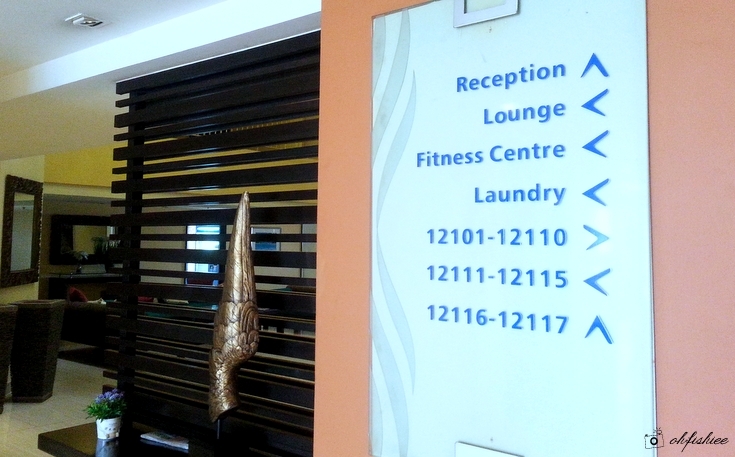 They even have their own lounge, fitness centre and laundry station on the same floor specially catered for the in-house guests. Yay! Nothing satisfies me more than shopping for the latest trendy fashion here at Asian Avenue. 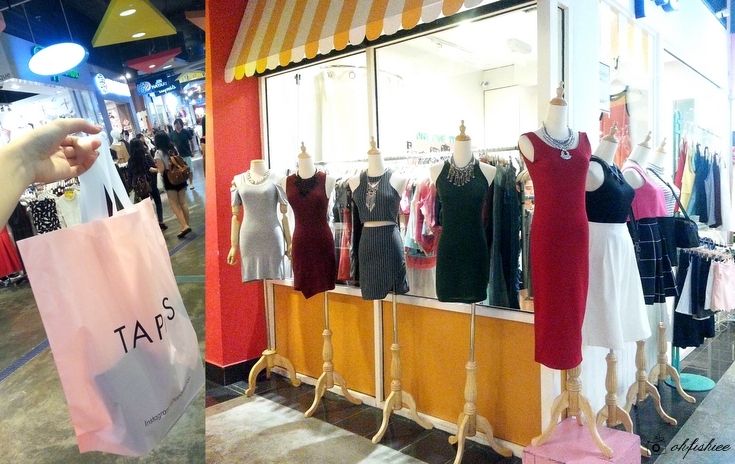 After a quick gym session, it's time for shopping therapy! The hotel is linked to the Sunway Pyramid shopping mall, so I don't even need a car to travel out of Sunway because I can easily find everything from fashion to food here under one roof. Or if you're not a shopper, perhaps you can try ice skating or go for a movie at TGV Cinemas. After a long day, it's time to treat the stomach with yummy good food. What an amazing dinner at Morganfield's! the Resort Suites is the right place to visit. It offers a wide varieties of cuisine from local to western. 1. Be it family vacation or business trip, Resort Suites makes a great choice for a comfortable and relaxing stay while you can enjoy the best of local culture here. 2. I love how I can enjoy everything from good food and entertainment to relaxing spa and gym session, all under one roof. You had a nice view at your suite. I love the bath tub. nice suite! great place to overnight after all those shopping and fun time. The room looks very spacious. I like the location which is near the shopping area. Nice place to stay in, not often I get to stay in a place where people clean up after me.... LOL. it's nice to shop and dine there. my family favourite mall too. I love the convenience of Resort Suites @ Bandar Sunway. I think I can stay there for a long time without getting bored. Glad they made your big day a memorable one after all you have been through. I am agree with you! 5Stars for them! Good Services & Great View from Room! its the best spot to spend your birthday. definitely a nice place to stay and shop and so many activities to do there, waterpark spa whatever it is, can be found. glad you enjoyed your birthday. This hotel is so convenient if we are attending concerts or festival at Sunway Lagoon.